WHAT IS A SELF MANAGED SUPER FUND ? The minutes of the February 4 RBA Board Meeting confirmed that the Bank now has a neutral bias and has desisted from further talking down the AUD. On interest rates: "the most prudent course would likely be a period of stability in interest rates". Whereas in the December Board minutes the AUD was described as "uncomfortably high" the language used early in 2013 has been restored with "the exchange rates has also depreciated further since the December meeting. If sustained, a lower exchange rate would be expansionary for economic activity and would assist in achieving balanced growth of the economy". Of course that fall has not been sustained with the AUD around US 91c at the time of the December Board meeting falling to US 88c at the time of the February Board meeting but now having rebounded to around US 90.50c, only slightly below the "uncomfortable level" at the time of the December Board meeting. Commentary around the domestic economy is generally upbeat. Consumption, dwelling investment, business conditions and exports are described as being "more positive". In fact the minutes note that "survey measures suggested that business conditions had improved noticeably in recent months, to be above average levels". Of course the labour market was still described as weak but this was partially dismissed by describing the labour market as a lagging variable. Consistent with that theme, and, in line with the view around spending, the minutes note that the forward looking indicators of labour demand had shown signs of stabilising although were described as "consistent with only moderate growth of employment". There appears to be little consideration in this analysis of the feedback effects from a weak labour market to household confidence and incomes. Indeed the Bank expects that the rise in house prices will boost spending leading to falls in the savings rate. The unexpected increase in inflation clearly played an important role in discussions. Four different explanations were given for this lift with interestingly the first one mentioned being "an element of noise that occurs in economic data". Other explanations related to: the faster than normal pass through from the lower exchange rate: "a slower than expected pass through from weak wages growth"; and finally the possibility that there was less spare capacity in the economy enabling retailers or wholesalers to increase their margins. The Bank concludes that it was not possible at this stage to distinguish these explanations and it was likely that some combination of these four explanations was at work. A number of vulnerable remarks appear in these minutes. Firstly, the 3% decline in consumer sentiment back to average levels made the comment "consumer sentiment had recorded a modest decline around the end of 2013" somewhat out of date. A more disturbing issue was around the Bank's forecast for growth of Australia's trading partners which is expected to increase to be above average in 2014. It would be our view that with Chinese growth likely to decelerate this growth outlook seems overly optimistic. There are no significant surprises in these minutes. If the Bank had decided to continue talking down the AUD possibly with less strident language than "uncomfortably high" then it is likely to have been covered in the Governor's statement accompanying the decision two weeks ago. With no lead from the Governor it was not surprising that the language around the AUD has reverted back that period in 2013 when there was no explicit effort to talk down the AUD. The Governor also made it clear that policy had been moved to a neutral stance and these minutes confirm that view. There are a number of behavioural assumptions in the minutes. Firstly it is assumed that the labour market will lag economic growth with feedback effects from employment to incomes and confidence tending to be overlooked. It is therefore assumed that the rise in house prices will prompt a marked lift in consumer spending through the wealth effect and therefore a reduction in the savings rate. We tend to be more sceptical around that dynamic given the ongoing attitude of households since the Reserve Bank started to cut rates in November 2011. However we do accept the explanation that the unexpected lift in the inflation rate most likely shows some noise; a faster than expected response to the fall in the currency and a slower response to soft wages growth. With the AUD now stabilising and wages growth remaining soft the wages story is likely to be the dominant driver of inflation through 2014. Our forecast that the RBA will need to cut rates further in the second half of 2014 clearly hinges on the likely outlook, at that time, for growth in 2015 . Factors that will impact on that outlook will include the ongoing downturn in mining; fiscal consolidation; the impact of a fall in the terms of trade; and two important macro dynamics which the Bank appears to be understating. These are the direct feedback effects on confidence and incomes of the weak labour market and ongoing caution amongst business and consumers. DISCLAIMER: The above information is commentary only (i.e. our general thoughts). It is not intended to be, nor should it be construed as, investment advice. To the extent permitted by law, no liability is accepted for any loss or damage as a result of any reliance on this information. Before making any investment decision you need to consider (with your financial adviser) your particular investment needs, objectives and circumstances. at 2.75% at its June meeting. with the next easing in August. Bank's views may be reassessed month to month. some scope for further easing, should that be required to support demand." post CPI in August than at July's meeting. recent currency moves is misplaced and could reverse quickly. consistent with the medium term target. plans revealed in last week's ABS Capex report. has opted not to discuss the investment outlook directly at all. The Reserve Bank has retained an easing bias, but it is not an urgent one. this year and the first quarter of next year. This material has been provided for general information purposes and must not be construed as investment advice. This material has been prepared without taking into account the investment objectives, financial situation or particular needs of any particular person. Investors should consider obtaining professional investment advice tailored to their specific circumstances prior to making any investment decisions and should read the relevant Product Disclosure Statement. 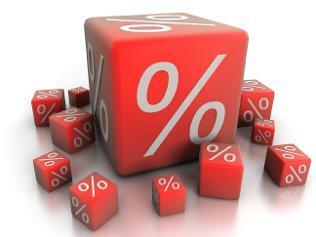 As expected the Reserve Bank Board decided to leave the cash rate unchanged at 3.00% at its April meeting. Given that there has been some discussion in the media around rates rising this year we were very interested to see whether the Governor indicated whether he still had an easing bias. That was confirmed by repeating the term: "The inflation outlook, as assessed at present would afford scope to ease policy further, should that be necessary to support demand". We read this as indicating that the Bank's current stance is that they see it more likely that the next move in rates will be down rather than up. Of course a further assessment of the inflation outlook will be available on April 24 and that will be an important input into whether the Bank still sees scope to ease. Our early forecast is consistent with inflation remaining contained and the Bank's medium term target for both headline and underlying measures to be retained at 2.5%. The second area of considerable interest from our perspective in the statement was the official assessment of the surprise jobs growth in February of 71,500. Comments from Bank officials following that print around sampling variability and continuing prospects for rising unemployment indicated to us that the number would be severely qualified. In the Governor's statement in March he referred to the labour market as: "with the labour market softening somewhat and unemployment edging higher conditions are working to contain pressure on labour costs". In today's statement he is much more concise: "labour costs remain contained". This suggests that the Governor is not prepared to accept that the job report signals an improving market but he is also not prepared to publicly dismiss the number. He has left the issue open until we see further evidence around the labour market. 4. "Though the full impact of this [easing in monetary policy] will take some more time to become apparent there are signs that the easier conditions are having some of the expected effects" (March). Arguably the following statement is stronger: "there are a number of indications that the substantial easing in monetary policy is having an expansionary effect on the economy" (April). On the other hand there appears to be a little more urgency around the slowdown in mining: "the peak in resource investment is approaching" (March) vs "the peak in resource investment is drawing close" (April). Secondly: "the exchange rate remains higher than might have been expected" (March) vs "the exchange rate, which has risen recently, remains higher than might have been expected" (April). On the international front there appears to be little recognition of the threats posed by Cyprus to Europe. Global growth is still described as "a little below average for a time" while "the downside risks appear to be reduced". That is a less confident commentary than "downside risks appear to have lessened over recent months" (March). Unlike March where financial strains in Europe are described as "considerably reduced" there is no commentary on developments on financial strains but Europe is now described as: "remains in recession". Whereas in March financial markets were described as "remain vulnerable to occasional setbacks" they now "remain vulnerable to setbacks" implying a higher probability of these developments. For the domestic economy there are a number of more positive nuances in this statement than we saw in March around dwelling investment; non mining investment; and the overall impact of the easing in policy. The Governor has sidestepped the issue of the February employment report but is no longer prepared to refer to a softening labour market or rising unemployment. On the other hand there is a little more urgency around the peak in the mining boom while the rising Australian dollar continues to represent concerns. By retaining the easing bias the Governor is signalling to us that in the Board's view, despite some more positive nuances, rates are more likely to be cut than increased at the next move. He has not moved to a neutral bias or used language to suggest that he expects rates to be on hold for an extended period. Accordingly, it is our view that the arguments around both domestic and international economies still support lower rates. Accordingly we retain our position that rates are likely to be cut by 25bps in June, or shortly thereafter. I believe to write accurate investment strategy you have to forecast where capital will flow. I know that sounds an obvious statement, but too often in the professional investment world investors/analysts/strategists over complicate and over analyse very simple themes. For the last nine months we have forecast that falling local and global cash rates would force savers out of cash and lead to sustainable dividend yields being bid down in the equity market. We believed all those who relied on investment income to live would be forced up the risk curve. Australia has been late to this equity yield compression party because we previously offered acceptable returns in cash to savers who wanted to preserve capital. Yet, with the RBA crushing cash rates to 3.00% and banks lowering their margin on term deposits from a peak of 2.00% over swap to 1.20% over swap, post tax returns on unfranked term deposits are collapsing bringing an end to the “do nothing” investment strategy. I believe you can sense a change in the RBA’s rhetoric where they are starting to follow the FED. The RBAhave basically told investors that they are going to have to acceptable higher risk to generate the returns they require. Whether that involves buying a rental property, equity dividend yield or corporate debt, I believe you can see the RBA is moving to force savers out of cash and into productive assets. As those asset prices rise it should in turn generate a rise in consumer and business confidence. 30% of Australian super funds are now self-managed. Data suggests around 30% of SMSF assets are currently held in cash or cash equivalents. 90% of all Australian bank term deposits are of 1yr year duration or less. Our strategic view is that wall of increasingly low return cash is going to move to higher income stream assets over the years ahead. On that basis our research department, led by retail investment strategist Peter Quinton, ran a model comparing the after-tax returns from bank term deposit rates vs. other higher risk bank products. This is a really good piece of work. In the table below we are comparing the return if you were to invest $100,000 in a: 12-month term deposit, a subordinated debt issue (sub—debt), a hybrid issue (hybrid), and the grossed-up fully franked dividend yield from the bank equity (shares). The table below compares the return based on 7/12/2012 the top marginal tax rate for individuals of 46.5%, the tax rate paid by Superannuation Funds (15%) and the tax rate paid by Superannuation Funds in pension mode (0%). In this example we have assumed the interest on the term deposit will be paid at maturity and the rates are from Monday 26th of November. The equity yield is the estimated yield for fy13 based on Bell Potter research notes. The sub-debt referred to is subordinated debt; ANZHA, CBAHA, NABHA, WBCHA. The hybrids referred to are the mandatory convertible preference shares; ANZPC, CBAPC and WBCPC. What I want to focus you on today is the differentiated after-tax returns between term deposits and bank equity dividend yield at the two superannuation tax rates. While the sub-debt and hybrid analysis is interesting, I want to focus on the equity vs. TD returns inside a super fund structure. For example, a NAB TD inside a 15% tax rate paying super fund returns 3.74% after tax vs. NAB equity dividend yield @9.52% after tax. Further, a NAB TD inside a super fund in pension mode paying 0% tax returns 4.40% after tax while NAB equity dividend yield returns 11.2% after tax. Now, looking at the lowest dividend yield bank, CBA. A CBA TD inside a 15% tax rate paying super fund returns 3.40% after tax vs. CBA equity dividend yield @7.65% after tax. Further, a CBA TD inside a super fund in pension mode paying 0% tax returns 4.00% after tax vs. CBA equity dividend yield @9.00% after tax. believe the equity risk premium in terms of after-tax return premium offered by bank equity dividend yield is compelling, in fact, the equity risk premium is too high and likely to be bid down in the years ahead. In the average 15% tax paying super fund the after tax return in pure income terms from NAB shares is 2.54x higher than currently offered by NAB TDs (9.52% vs. 3.74%). For those super funds in pension mode the after tax return in pure income terms from NAB shares is also 2.54x higher than currently offered by NAB TD’s (11.2% vs. 4.40%). In our lowest risk bank, CBA the after tax return in pure income terms inside a 15% tax paying super fund is 2.25x higher in CBA shares over CBA TD’s (7.65% vs. 3.40%). In a super fund in pension mode the after tax return in pure income terms is also 2.25x higher in CBA shares of CBA TD’s (9.00% vs. 4.00%). In other words, you are being paid a huge after tax equity risk premium (in income terms) to move from TD’s to bank equity. It’s also worth remembering that this analysis is based off current TD rates. In the macro strategy we believe in we see the RBA taking the cash rate to 2.50% and banks offering around 120bp over swap for 1yr term deposits. That equates to 1yr TD rates of 3.70% at some stage next year. When TD’s have a “3 handle” the switch to equity dividend yield will accelerate. The analysis above also reminds you of the after tax return power of franking credits inside a superfund structure, particularly one in pension mode. You can see why I see a wall of money moving into high, sustainable fully franked equity dividend streams ahead as Australian superannuants move from capital protection mode to retirement income protection mode. Unfranked cash is no longer king; fully franked sustainable dividend yields are now king. We continue to have all 4 major banks, Suncorp and Telstra in our high conviction buy list on this theme and remind you of our share price targets on those stocks based of dividend yields being bid down to 6.00% in fy14. I am actually starting to think those yield based targets will prove conservative if TD’s have a 3 handle. If this note unintentionally ends up in the hands of the media or competitor investment banks I remind you that you do NOT have my permission to quote me or in any way reproduce or retransmit, in part or in whole, the content contained in this note. We will enforce via legal action our Copyright© claim if our Copyright© is breached in any way. RBA has more to do - how low will the cash rate go? The reserve Bank of Australia (RBA) will have to cut interest rates further to boost the non-mining sectors of the economy as the mining boom fades at a time when the Australian dollar remains strong and fiscal cutbacks are intensifying. After the global financial crisis (GFC) caution has likely resulted in a reduction in the neutral level for bank lending rates, as they are only now starting to become stimulatory. Our assessment remains that standard variable mortgage rates will need to fall to around 6%, which implies that the official cash rate will need to fall to 2.5%. We expect this to occur over the next six months, with the RBA cutting again next month by another 0.25%. Bank deposit rates will fall further, but the Australian share market is likely to be beneficiaries as lower interest rates eventually boost housing activity and retailing. Mining investment looks like it will peak next year. For the first time in years the June quarter survey of mining investment intentions did not show an upgrade in plans for the current financial year and projects under consideration have peaked. Falling mining sector profits suggests mining projects remain at risk. Investment outside the mining sector remains weak. This all points to a sharp slowing in business investment in 2013-2014. At the same time, a sharp fall in Australia’s terms of trade is leading to a loss of national income which will also slow spending and growth. Stronger mining exports will provide a boost to growth but this may not become evident until around 2014-2015. This is all occurring at a time when non-mining indicators for the economy remain soft. Consumer and business confidence are sub-par, despite being almost a year into an interest rate cutting cycle. Retail sales remain subdued, with government handouts providing a brief boost in May and June, only to see softness return again. Annual retail sales growth is stuck in a range around 3%. With confidence remaining sub-par, job insecurity running high and interest rates still too high, its hard to see a strong pick up in the near term. Ongoing consumer caution in terms of attitudes towards debt and spending is highlighted by the next chart showing a much higher proportion Australians compared to the pre-GFC period continuing to nominate paying down debt as the wisest place for savings. While, on average, housing related indicators have probably bottomed, taken separately they present a very mixed picture. House prices are up over the past few months. Housing finance, housing credit and building approvals look like they have bottomed, but remain soft. In addition, new home sales are still falling. The fact that there has only been such a tentative response to lower mortgage rates indicates that mortgage rates have not fallen enough. The jobs market remains soft with weak job vacancies pointing to soft employment and rising unemployment ahead. Whereas anecdotal news of job layoffs was previously limited to the non-mining sectors of the economy, it has now spread to the mining sector. This is likely fueling ongoing household caution, acting to constrain retail sales and housing demand. First, the continuing strength in the Australian dollar, presumably on the back of safe haven buying, and moving out of the US dollar and euro in the face of QE3. In addition, the Australian dollar has a high correlation to the US share market as part of a ‘risk on/risk off’ trade, which has meant that it has not provided the shock absorber it usually does to falling commodity prices. Second, having seen the budget handouts around mid-year, fiscal tightening will now kick in at the federal level and may even intensify if the government seeks to retain its projected surplus for the current financial year. At the same time, various states are announcing budget cutbacks, including job cuts. In order to offset these forces and ensure that non-mining demand strengthens sufficiently, interest rates will have to fall further. While the RBA has cut the offi cial cash rate to within 0.25% of its GFC low, because of bank funding issues lending rates are still well above their 2009 lows. Basically banks have been seeking to reduce their reliance on non-deposit funding which has proved unreliable since the GFC. To do this they have had to offer higher deposit rates relative to the cash rate than would normally be the case. This has resulted in higher lending rates relative to the cash rate than was the case pre-GFC. Banks have done well to raise the proportion of their funding they get from deposits to 53% from around 40% pre-GFC, but they still lag behind banks other major countries and tougher capital requirements mean they are under pressure to do more. the ‘new neutral’ level in the next chart. This would suggest that current mortgage rate levels are only just starting to become stimulatory. In the last two easing cycles the mortgage rate had to fall to around 6.05% in 2002 and to 5.8% in 2009. Given the fall in the likely neutral level for mortgage rates and the current headwinds coming in the form of the strong A$ and fiscal tightening, mortgage rates will at least need to fall to these lows. Given the ongoing issues with bank funding, to achieve a circa 6% mortgage rate the cash rate will need to fall to around 2.5%. Our assessment is that the RBA is coming around to this view. As such we expect another 0.25% cash rate cut next month on Melbourne Cup day, followed by a cut to 2.5% in the March quarter next year. growth should pick up again by the end of 2013. There are a number of implications for investors. Interest rates need to fall a lot further. This means that term deposit rates are likely to fall further in the years ahead, even though the size of the decline will lag that of the official cash rate given bank funding reasons. As a result, the attractiveness of bank deposits for investors will continue to deteriorate. While record low bond yields mean bonds are poor value for long term investors, yields will likely remain lower as the RBA cuts interest rates. However, if foreign investors start to develop concerns surrounding Australia, international bonds will do better than Australian bonds. Australian shares should benefit from interest rate cuts and cheaper valuations. We continue to see the Australian share market being higher by year end. Key sectors likely to benefit from lower rates are retailers, building materials and home builders. Declining interest rates in Australia will take pressure off the Australian dollar. However, a fall in value is likely to be constrained by quantitative easing in the US and central bank buying. Overall we see the Australian dollar stuck in a range around US$ 0.95 to US$ 1.10. The best has likely been seen for the Australian dollar. Australian Property Bubble - are we at the bottom yet?